Picture password is new and innovative way to unlock your Windows 10 / 8 devices by drawing predefined gesture on a selected picture. It seems better suited for touch-screen tablet users, and PC users might choose to turn off picture password logon. 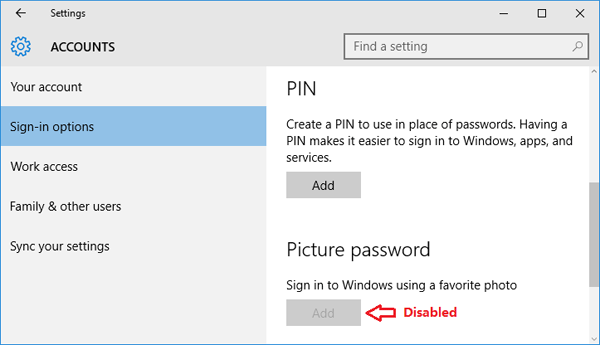 In this tutorial we’ll show you 2 simple ways to disable / turn off Picture Password sign-in in Windows 10 and 8. Once your Picture Password sign-in is disabled, you are unable to create / add a new Picture Password. There is also no option at the logon screen that allows you to sign in with Picture Password, even if you’ve already set up a Picture Password. If you are not using Windows 10 / 8 Professional or Enterprise, you will not have access to the Group Policy Editor. Instead you should skip to the Option 2. 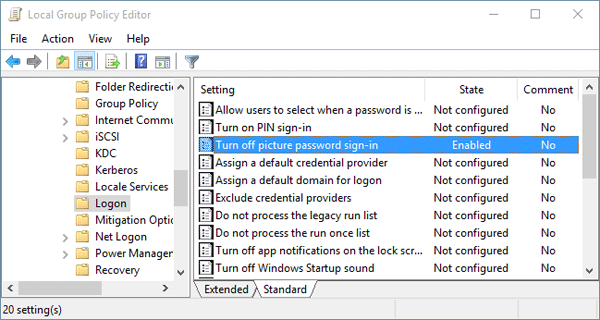 In the right pane, you can see a policy named “Turn off picture password sign-in“, double-click on it and set it to Enabled. Finally, click Apply / OK and reboot to apply the changes. Though the policy description states that this will disable the Picture Password for domain users, it will also disable it for non-domain users. Press the Windows key + R to open the Run box. Type regedit and press Enter. This will open the Registry Editor. If the System subkey doesn’t exist, you’ll have to create it. 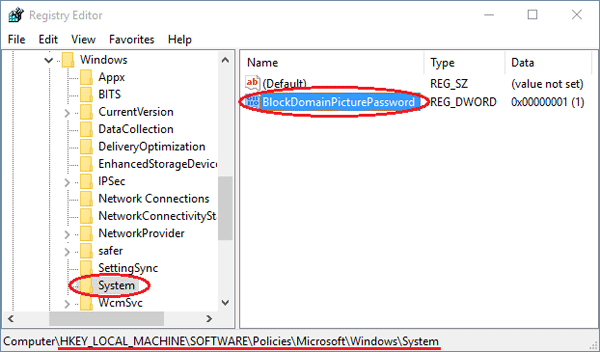 In right pane, look for an entry named BlockDomainPicturePassword. If it doesn’t exist, right-click on empty space and create a DWORD value and assign name as BlockDomainPicturePassword. Double-click the BlockDomainPicturePassword value and set it to 1. If you want to re-enable the Picture Password sign-in later, set the value back to 0. Close the Registry Editor and reboot the computer. Now Picture logon is disabled and a user can’t set up and use a picture password any longer.